You are here: Home » Life Issues & Bioethics » Contraception & Abortion » Report: 11,000 Late-Term Abortions Take Place a Year in the U.S.
Report: 11,000 Late-Term Abortions Take Place a Year in the U.S. Some 11,000 American children are aborted every year after the 20th week of pregnancy, according to figures contained in a new Congressional report on the cost of banning such procedures. The Congressional Budget Office (CBO) is required by law to perform a cost estimate for every bill pending in Washington, so legislators will know the economic impact an act will have on society and government. The finding contradicts the testimony of many of the bill’s pro-abortion opponents, who have insisted the number of children affected by late-term abortion is small. 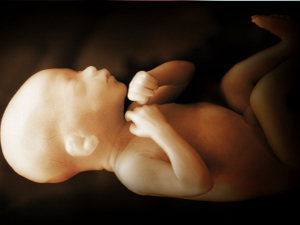 Using government figures drawn from the CDC’s Abortion Surveillance report for 2009, CNSNews.com Editor-in-Chief Terrence P. Jeffrey calculated there are an average of 1.27 abortions per day at the 21st week post-fertilization or later in Texas alone. A battle is presently being waged in the Lone Star State over a state bill that would impose a 20-week limit similar to the fetal pain ban passed by the House of Representatives on June 18. CBO estimated that the additional children would cause Medicaid spending to “rise by $225 million over the 2014-2023 period,” since Medicaid covers the costs of 40 percent of all births. However, the CBO confesses that the actual number of pregnancies that would be carried to term is “highly” speculative, and costs could range anywhere from $75 million to $400 million over a 10 year period. The agency must also try to understand the economic effect a law would have on the private sector – in this case, on late-term abortionists like Kermit Gosnell and Douglas Karpen. “The costs of [the law’s new pro-life] mandates would be the net income forgone by public and private physicians and clinics,” the report states. Jeffrey noted in response, “The CBO did not estimate how much wealth and job-creating power U.S. society has lost and will lose in the future because 11,000 late-term unborn babies per year are killed by abortionists and not allowed to live out their lives.” Numerous analysts are warning that a baby drain is threatening economic progress the world over, from Eastern Europe to the Far East, and the U.S. birthrate continues to scrape along at near-historic lows. The federal “Pain Capable Unborn Child Protection Act,” introduced by Congressman Trent Franks, passed the U.S. House by a margin of 228-196. Florida Senator Marco Rubio said last week that he will introduce the bill in the Democrat-controlled Senate, where it faces an uncertain future. President Barack Obama has promised, if the bill were to pass, he would veto it.